I’ve had the itch to make a smaller wreath for a while. Just an idea I’ve been kicking around in the back of my head. Then I found these tiny wreath forms. 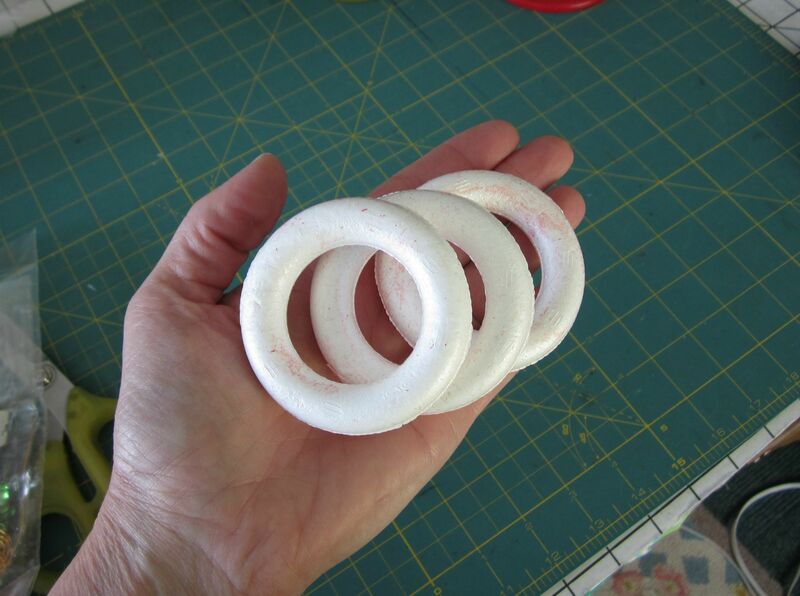 Tiny wreath forms for a tiny wreath. Same idea as my bigger wreaths, much smaller scale. 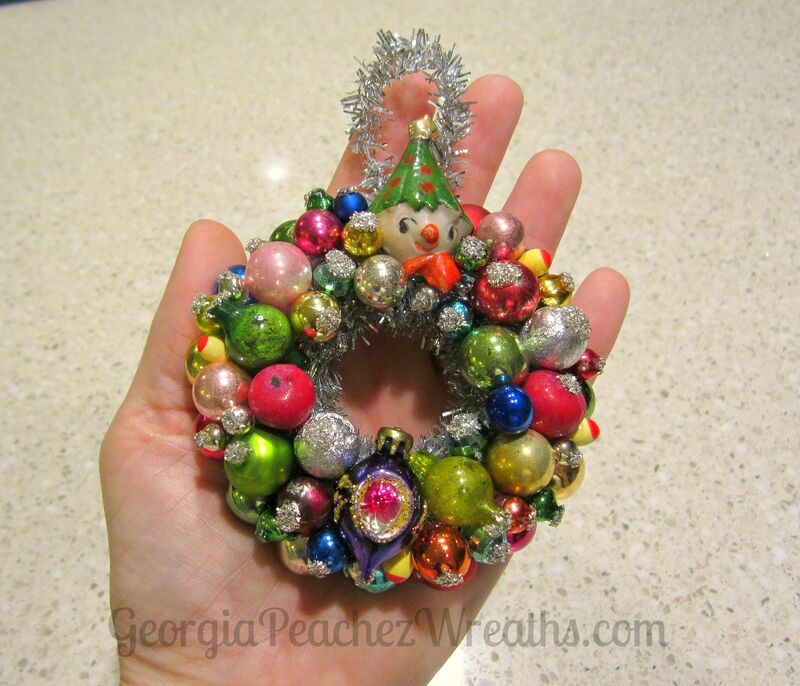 This wreath, made with vintage glass beads and ornaments measures a whopping 3.5″ across. It’s pretty adorable I think. Great Design! the scale and design is perfect, hope to see then in your store. lovely!! What is your favorite glue for the ornaments? I use a commercial grade glue gun and high temp glue. Your wreaths are inspiring! The little ones sooo adorable.